What this brought to the market was the ability to use a myriad of Tippmann and 3rd party accessories that allow you to customize the marker exactly to your liking. 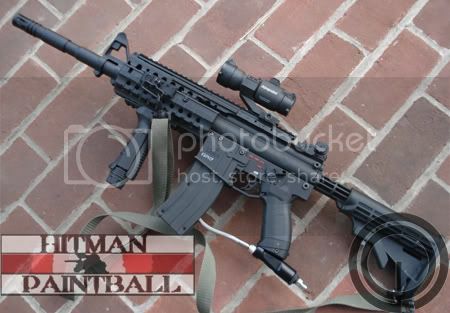 When people think "Woodsball" these days, they inevitably think of the A5. The Tippmann A5 is one of if not the most versatile paintball markers on the market with upgrades to fit any position. Coupled with ridiculous durability this marker has cemented itself as the one of the most commonly owned woods ball marker in the world. The Cyclone feed system was revolutionary for its time and supplied the user with a reliable feed system that didn’t need batteries and required almost no maintenance. The A5 gives the baseline for performance.